Media Molecule has announced a new expansion for LittleBigPlanet 2, set in the DC Comics universe, and featuring a series of brand-new levels inspired by the comics. The DLC also adds new gameplay elements, such as the Hero Cape power-up, which allows players to fly long distances. New costumes will also be available for Sackboy, including Catwoman, Aquaman, and Lex Luthor. The DLC can be purchased in one go by purchasing the £20 season pass, or you can buy the level pack and the costumes individually. 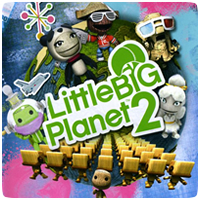 All the costumes will also be cross-buy compatible, carrying over to LittleBigPlanet PS Vita and LittleBigPlanet Karting.